Two years living in the Heughliverse!!! 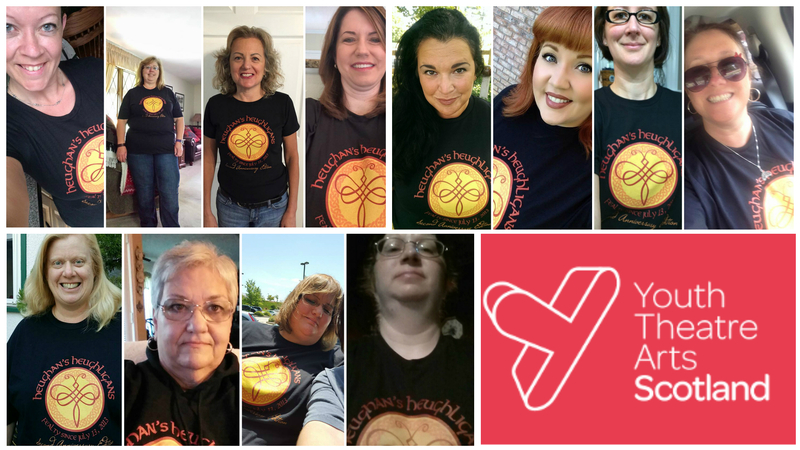 For over two years now, YOU have been a part of the world’s most fabulous fan group, the Heughligans. WE never expected for things to come this far, or be this amazing. What we didn’t dream of back then, but what we appreciate and marvel at now, is that the members of Heughan’s Heughligans are not only wonderfully compassionate towards one another, but they are also generous to a fault. But it doesn’t stop there. As pictures of members started to flood the page, other members began to ask where they could purchase one of the anniversary shirts. Now is your chance. The 2nd Anniversary Heughan’s Heughligans t-shirt is only available for 7 -count them 1 2 3 4 5 6 7– more days. You don’t want to miss out on not only looking totally awesome in this shirt designed by Ariana Bayer, but also helping out some wonderful kids. Check out their website and get a glimpse of who they are…what they are up to…..and how your generosity helps! Follow the link below to purchase a shirt, and don’t forget to post a pic of yourself once your shirt arrives. Aww thanks for the mention! It puts joy in my heart to raise money for YTAS and to see all of you enjoying your shirts so much!